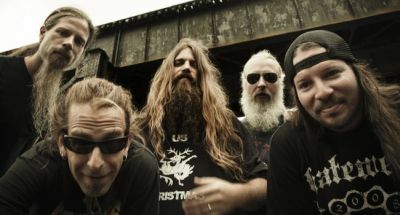 Fresh from their incendiary headline tour here, Virginia metal kings Lamb Of God are pleased to announce that their feature length documentary film ‘As The Palaces Burn’ will screen across the UK and Ireland on March 6, in more than 70 cinemas. Following the 90-minute film, a 30-minute Q&A with the band and director Don Argott, hosted by VH1 Classics/That Metal Show’s Eddie Trunk, will be shown. The Q&A was filmed in Maryland, at the final show of the band’s North American tour in support of their most recent album release, ‘Resolution’. ‘As The Palaces Burn’ was conceived to be a documentary focused on the power of music and its impact on cultures around the world and its ability to bring together people of all nationalities regardless of religious or political differences. After a worldwide casting call, filming took place in Colombia, Venezuela, Israel, India, and the United States. As filming reached its conclusion, the documentary was forced to take a major turn when the band’s lead singer, Randy Blythe, was arrested in the Czech Republic and charged with the murder of a fan in June 2012. Granted unique access to Blythe’s continuing saga, Argott’s filming covered Blythe’s 38 day imprisonment in Prague, his release and the band’s return to live performances, and finally Blythe’s trial for murder in Prague in February 2013. To watch the official movie trailer, buy tickets, see the latest worldwide listings, and learn more, visit http://asthepalacesburn.com.